Despite the unfortunate history of Japanese colonization of the Korean Peninsula, Japan and South Korea have generally managed to nurture amicable relations, with economic cooperation being just one facet. But South Korea's top court on Oct. 30 handed down a decision that could fundamentally damage the bilateral relationship. The Supreme Court upheld a 2013 order for Japan's Nippon Steel & Sumitomo Metal Corp. to pay compensation and damages to four South Koreans who were put to forced labor during World War II. 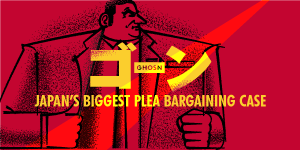 The amount to be paid is about 10 million yen ($88,000) per plaintiff. Similar damages suits against about 80 Japanese corporations are also being heard in South Korean courts. The Japanese government and the defendant corporations have argued that the issue of compensation of former forced laborers was "settled completely and finally" by the 1965 Treaty on Basic Relations between Japan and the Republic of Korea that normalized diplomatic ties between the two countries. Japan's judicial authorities also have maintained that position. The South Korean plaintiffs' representatives have stated their readiness to consider seizing Nippon Steel's assets, if the latter refuses to abide by the top court's ruling. The Japanese government, on the other hand, is prepared to appeal to the International Court of Justice, among other measures, unless the South Korean government makes arrangements for the payment of compensation in accordance with the 1965 treaty. Should this case come to that, not only will it sour the Tokyo-Seoul relationship, but it could ruin all the "neighborly" efforts that have been made to date. Seoul must take appropriate action to prevent any further deterioration of the situation. Compensating South Koreans who toiled as forced laborers for Japan has remained a thorny pending issue for years, and Seoul until now maintained a certain stance and line of action. In 2005, the administration led by President Roh Moo-hyun concluded that the compensation payment was covered by Japan's "economic cooperation" grants, loans and other funds that were paid to South Korea for the settlement of problems stemming from property and other claims under the 1965 treaty. And Moon Jae-in, the current president of South Korea, was deeply involved in this matter as a high official at the time. Based on Roh's understanding of the treaty, South Korea tweaked its domestic laws and paid compensation to former forced laborers. Should Moon now overturn Seoul's traditional interpretation of that international treaty because of changes in domestic circumstances, it will inevitably raise questions about the nation's policy consistency, which in turn could hurt its credibility. At the time of normalization of diplomatic ties between Japan and South Korea, some wartime issues eluded clear-cut settlement, and one of them was the legality of Japan's annexation of Korea. But the two nations worked hard to deepen their partnership. Today, visits to Japan and South Korea by their respective citizens verge on 10 million annually. After the Supreme Court decision, the South Korean government announced its intention to seek the opinions of experts and to look at the big picture in mulling its next steps. Seoul must avoid, at all costs, any decision that will cast a dark shadow on its future relationship with Tokyo. During the Koizumi administration, Japan acknowledged causing wartime Korean forced laborers "unbearable agony and grief," and this perception has upheld by successive administrations. While it is only natural for Tokyo to stick to its traditional understanding of the 1965 treaty, it would be wrong to shy away from acknowledging the historical fact of forcibly bringing many Koreans to Japan to labor under the direst conditions. Japan's political leaders are being tested on their ability to overcome problems stemming from the nation's negative history, and to map out a future-oriented relationship with South Korea.